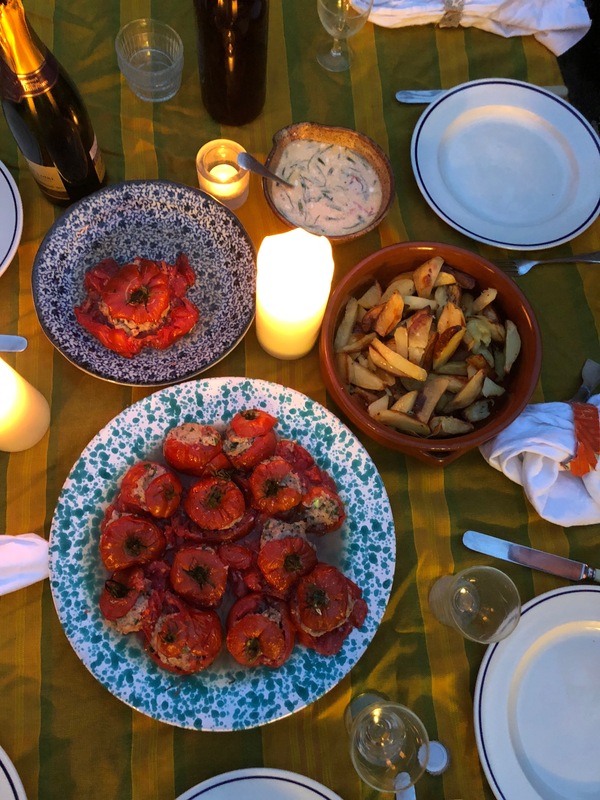 I made this menu to celebrate the tomatoes I grew this summer and the visit from these women. I felt a little sad because summer is ending and because it’s among the last dinners I will serve in this garden. Some things we discussed: Ana’s dad doorstepping for Yes during the repeal the 8th referendum in Ireland and several other good men; writers we like; the difficulties with getting people to pay you as a freelancer; sadness in London; an excellent woman of an older generation who supports other women; new loves who are better than expected; some very bad men who are not allies and who should be put in the bin; the font size of Doris Lessing’s The Golden Notebook; the perfume of the cheese; making friends on the internet; what we want to write.